Grand is really an understatement. 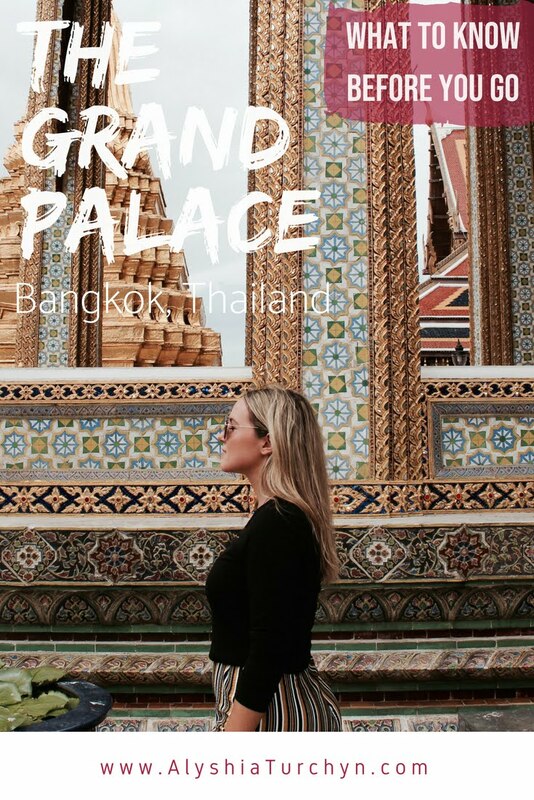 Bangkok’s Grand Palace is straight out of a Thai fairytale and is everything Magic Kingdom wishes it could be. 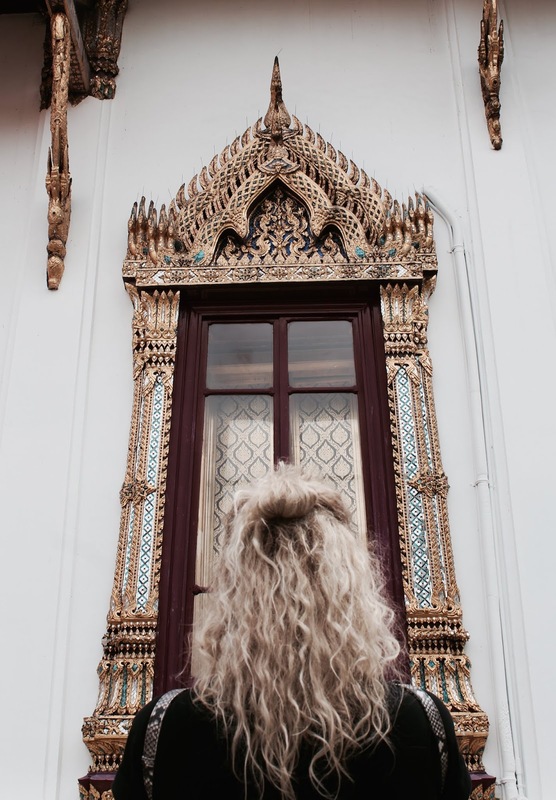 Although, there are some things to keep in mind before venturing out to Bangkok's main attraction! We touched down in Bangkok in the wee hours of the morning only to zip to our hotel to catch some zzz’s. Jet lag has this weird effect where it enables you to watch hours of Thai soap-operas while emptying out the mini fridge. 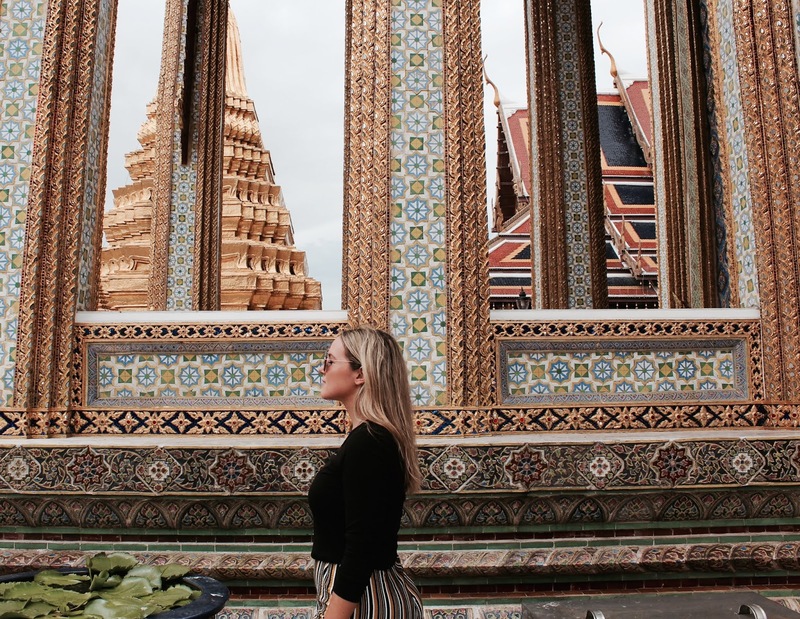 And even though we slept for 11 minutes, The Grand Palace was something we were more than happy to drag our dysfunctional jet-lagged bodies to. 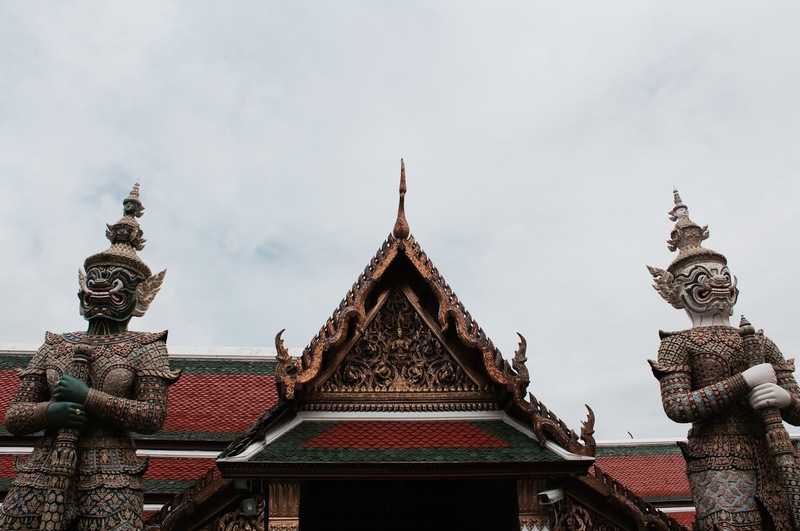 So, before you go off and hitch that tuc-tuc ride to the grand palace here is some pivotal information that will help you glide right along through the entrance gates, no complications, no misunderstandings. 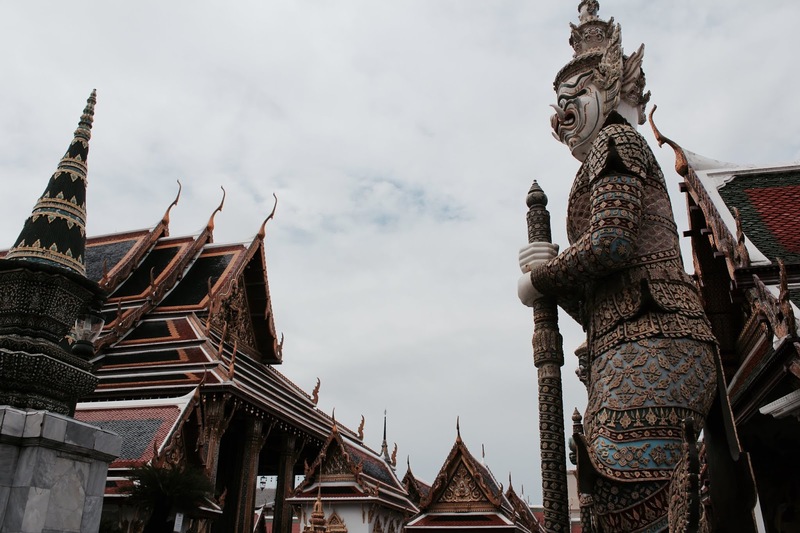 The Grand Palace is located in the old Rattanakosin area of Bangkok, but every taxi driver knows its location, don’t let them tell you otherwise. The exact address is: Thanon Na Phra Lan, Phra Nakhon District, Bangkok. 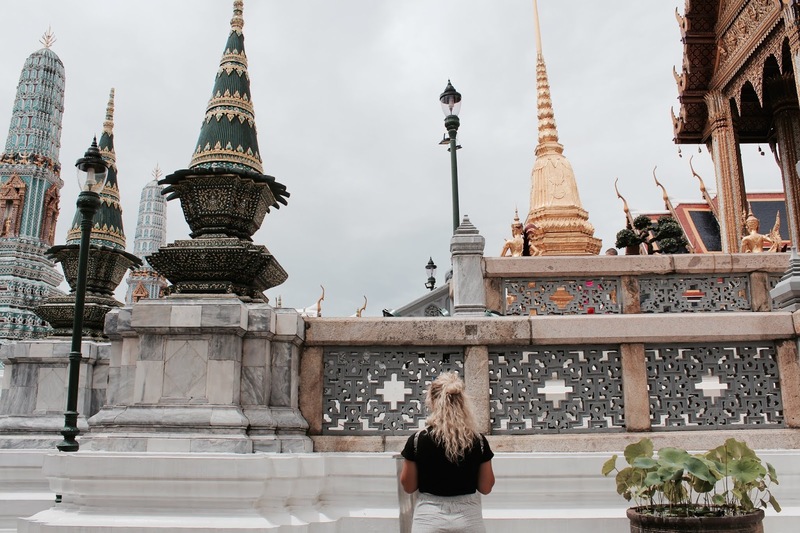 One thing to note: taxis aren’t allowed to drive down the main road to the walking entrance of The Grand Palace, so they will most likely drop you off right next to Wat Pho, the temple of the 46-meter reclining Buddha. 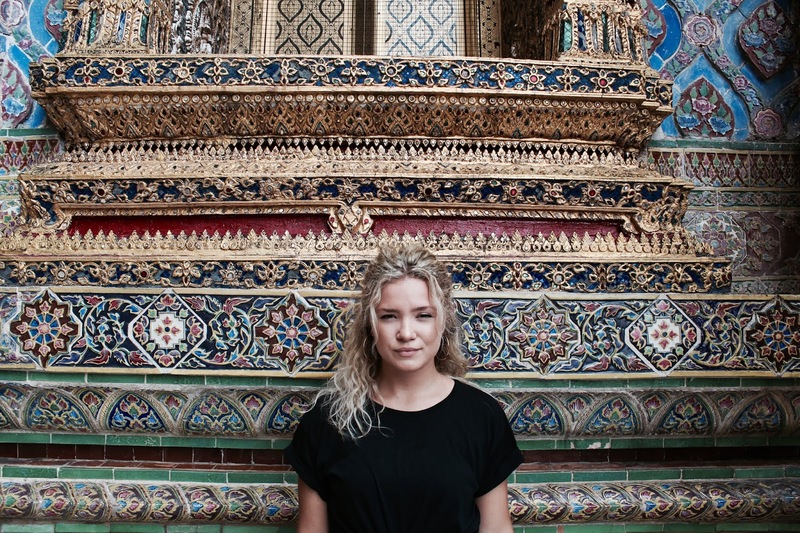 From there, simply follow the crowd around the brick wall of The Grand Palace to the entrance. Opening hours are daily from 8:30 am until 3:30 pm. The Palace is very rarely closed, so if someone tells you it’s closed, it’s most likely not. As the day goes on, crowds grow fast, lines get longer and the sun beats down harder (especially when you’re wearing dress code), so take my advice and get there as early as possible. 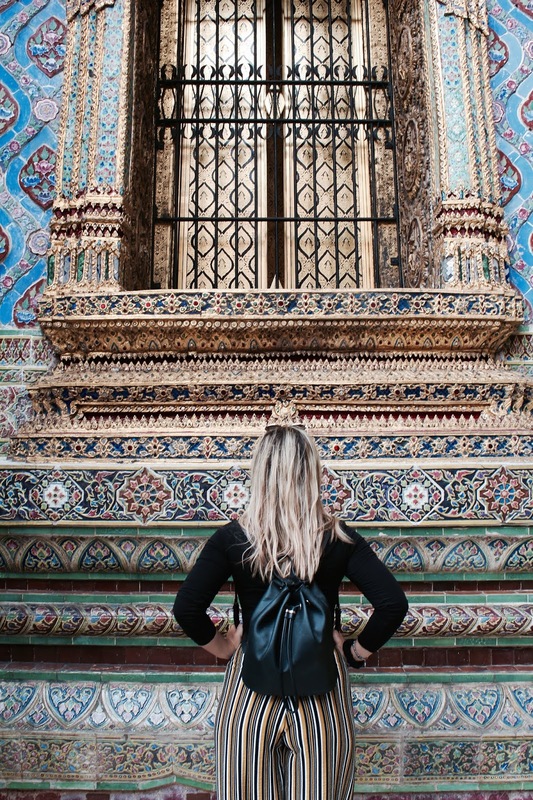 This is especially important if you want to get some great photos and it also leaves you lots of time to visit Wat Pho, down the street, all before lunch! The entrance fee is 500 Thai Baht per person. Plain and simple. 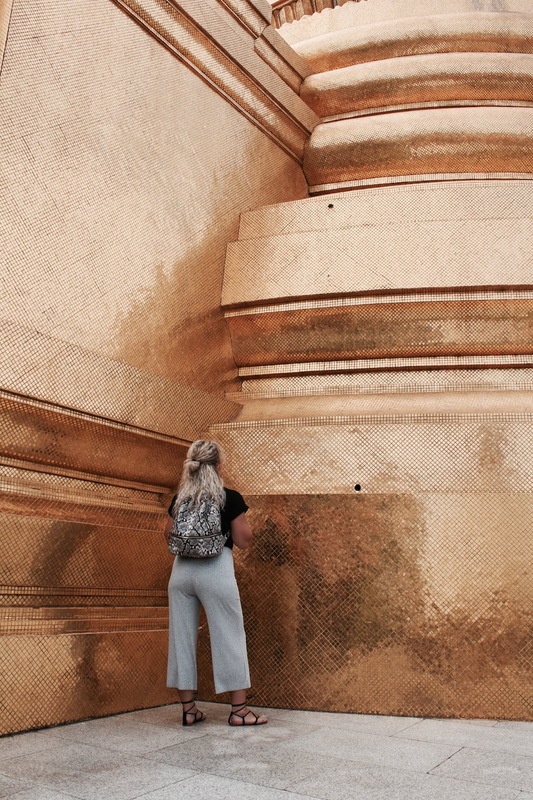 A good rule of thumb to remember for temple hopping in Thailand is shoulders and knees need to be covered. If you show up at the front gate improperly dressed, they’ll simply turn you away. And that means finding proper clothes and heading to the back of the line. Apparently there is a booth near the entrance that can provide clothes to cover you up properly (a deposit of 200 Baht is required), but I don’t recall seeing this. 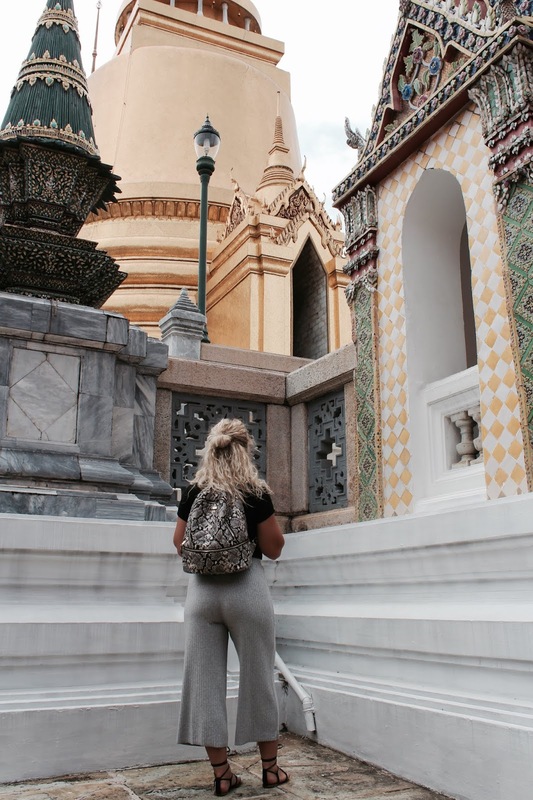 There are however, endless shops selling overpriced elephant pants and long sleeve linen shirts across from The Grand Palace. Women must be similarly modestly dressed: no see-through clothing, covered shoulders (shalls are not always accepted as appropriate clothing), long pants, knees covered. 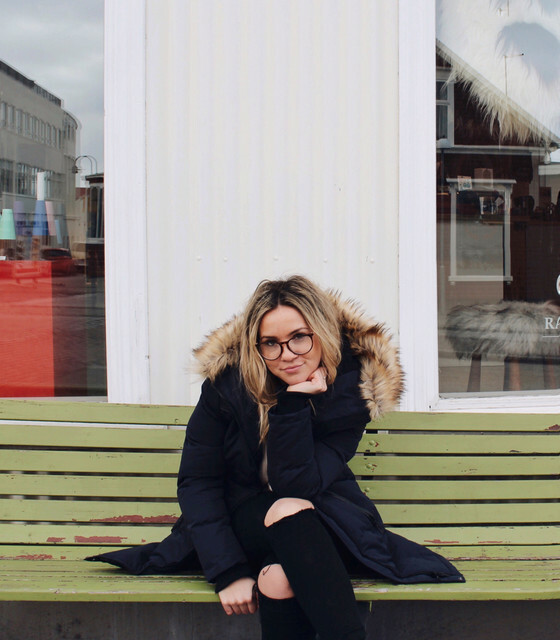 I wore sandals and had no issues. 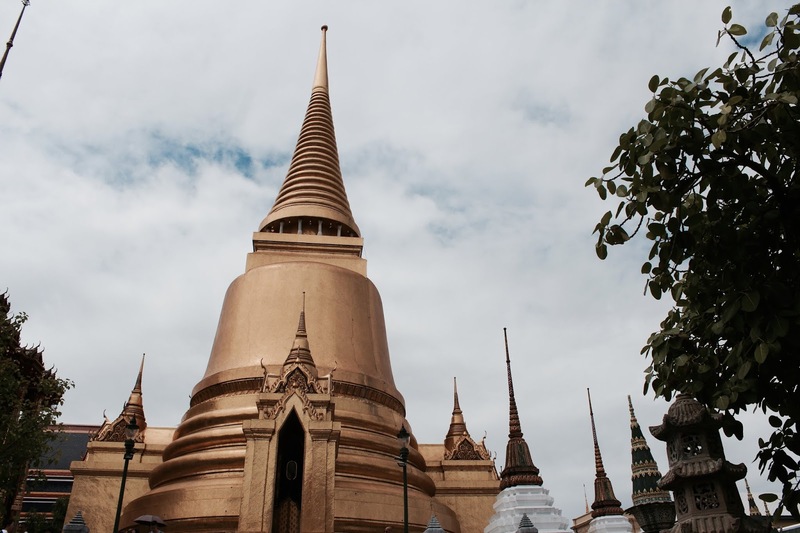 The Grand Palace is unquestionably Bangkok’s most famous landmark. Built in 1782 it was the home of the Thai King, the Royal court and the administrative seat of government for more than 150 years. 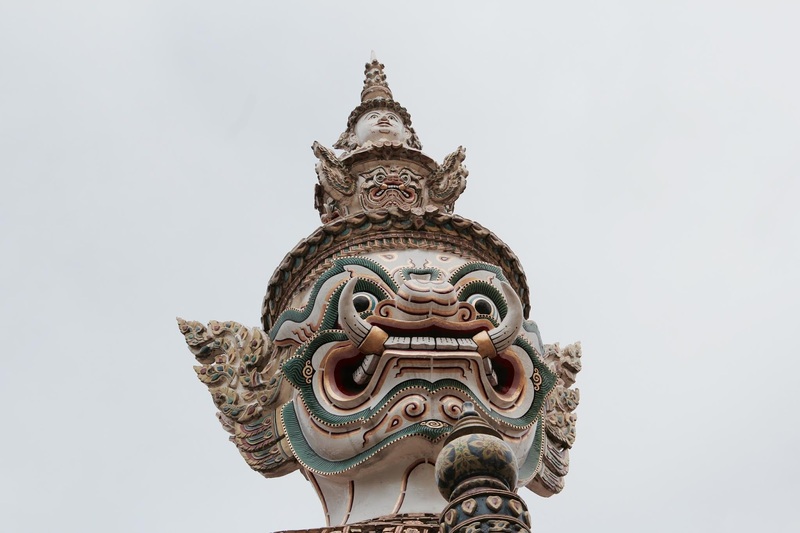 Its stunning architecture and sophisticated detail remain the spiritual heart of the Thai Kingdom. Unless you've booked a guided tour in advance, I recommend taking a look at this map and wistfully wandering at your own pace! 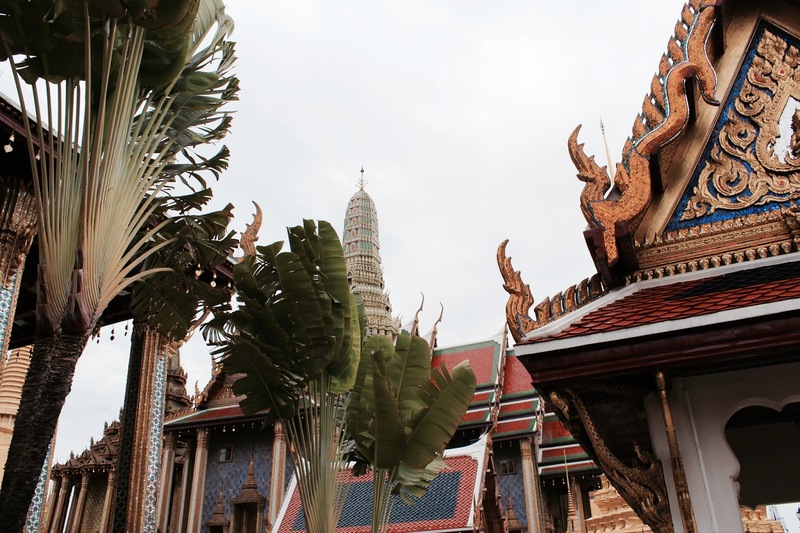 The Outer Court, near the entrance was once home to the governmental departments and in this Outer Court you can find the small and very famous Emerald Buddha. Be prepared, it’s super small. The Central Court, is where the residence of the King was to be found. Now, only two of the throne halls are open to the public, but you'll still be able to marvel at the exquisite detail and impressive structures! The Inner Court, is where the King's royal partners and daughters lived. Think, small city entirely populated by women and boys under the age of puberty and even though no royalty reside in the inner court any longer, it is still completely closed off to the public.